Thanks to a short vacation, a brief respite from traveling, and my general inclination to avoid real work, I’ve been able read a lot the last few weeks. Here are two more books — neither of which has much to do with business, motivation, or talent — that I really enjoyed. 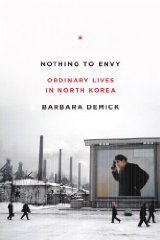 The first is Barbara Demick‘s book, Nothing to Envy, about day-to-day life in North Korea. It is — in a word — riveting. Demick interviewed about a dozen people who escaped North Korea and she uses their stories to recreate what daily life is like in one of the world’s most repressive (and downright bizarre) places. What amazed me most is that because the government controls all media — and the Internet, television, and foreign books are essentially forbidden — the people of North Korea often lack a sense of how dire their situation is. One character doesn’t fully understand until she crosses the river into China and sees that the food a family there has set out for it dog is more plentiful, tasty, and nutritious than anything she’s eaten in months. This book will linger in your mind for a long while. 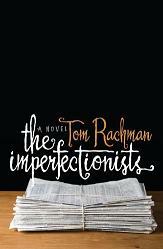 The other book is The Imperfectionists by Tom Rachman. This one’s a novel — and a unique one at that. Each chapter focuses on a single character, all of whom work at a sinking international newspaper in Rome. Their lives are sad and comical at the same time — giving the novel a bittersweet flavor that reminded me of And Then We Came to the End. Rachman also uses short italicized passages at the end of each chapter to tell the backstory of the newspaper. But The Imperfectionists is more than a tour de force of clever structure. The structure serves the narrative beautifully and deepens and intensifies the story. For a taste, check out this excerpt. I really loved “And Then We Came to an End”. Thanks for the recommendation for “The Imperfectionists”. I’ll definitely put it on my list. I’ve given away several copies of The Imperfectionists because I enjoyed it so much. A great summer read. Great to read your endorsement of The Imperfectionists, which I’ve picked up but haven’t started to read yet. Christopher Buckely, who’s one of the funniest modern day writers, raved about it The New York Times recently. Thanks for the book tips! I’m halfway through “Nothing to Envy” and am both amazed and horrified. What amazing stories these defectors have. Thanks for the book tip.